TrustVeterans.com - A Veteran's Take: A day of service. This Saturday is the day for our very first "Day of Service" project. A few months back, I got an email from one of the gentlemen over at the Wounded Warrior Project. In it, he requested help with doing some work on the home of a 100% combat disabled Marine named Steven. 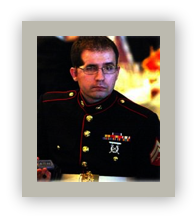 In April of 2005, Lance Corporal Steven Schulz was five months into his second deployment to Iraq, when he was hit by an Improvised Explosive Device near Fallujah, Iraq. Steven suffered a severe Traumatic Brain Injury resulting in vision impairment, hearing loss and partial paralysis to the left side of is body. He had over 20 hours of brain surgery, with doctors removing approximately 90% of his right frontal lobe. Steven's mother, Debbie, is his permanent caretaker. He is the oldest of three children with a younger brother, Clay, and a sister, Elaine. Friendswood, Texas is where the project is taking place and we should have a team of around 20 working together to accomplish a small list of items that are general maintenance on any well kept home. In addition to the maintenance items, Serenity Homes of Texas, a custom home building company, is donating the manpower and materials for the construction of a shade pergola attached to the back of the families home. Steven would like to use the patio more, and the Houston sun can be very unforgiving throughout the summer. Shade structures can run into the thousands of dollars, but Shane with Serenity Homes is completely donating a patio pergola. The overall goal is to bring a bit of extra care to the family home of the Schulz's. This family has sacrificed in such a way that too many veteran families have in recent days. Life sometimes presents certain challenges which may seem insurmountable to some, but not all. 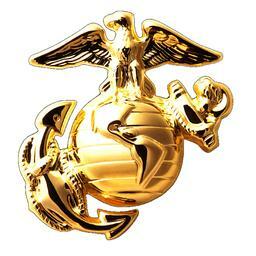 The Marine Corps adopted Semper Fidelis as its official motto in 1883. Translated from Latin, Semper Fidelis means "Always Faithful." U.S. Marines use an abbreviated verbal version, "Semper Fi," to voice loyalty and commitment to their Marine comrades-in-arms. Marines don't quit. Marines carry on. Steven and Debbie travel often and participate in veteran focused events throughout the nation. They recently took a bicycle ride in California with the Wounded Warrior Project, which presented the opportunity for many disabled veterans to hit the pavement for a ride on the coastline. When Americans take the time to stop and take care of their neighbors, it generates an emotional impact which spreads through the community. Taking care of one another is something most humans enjoy at some point in their lives. By donating time and efforts to disabled veterans such as Steven, I hope to contribute to continuously delivering good to our community as part of a team. By networking with others sharing similar interests, and taking action when the time calls for it, we can enhance the lives of everyone around us.